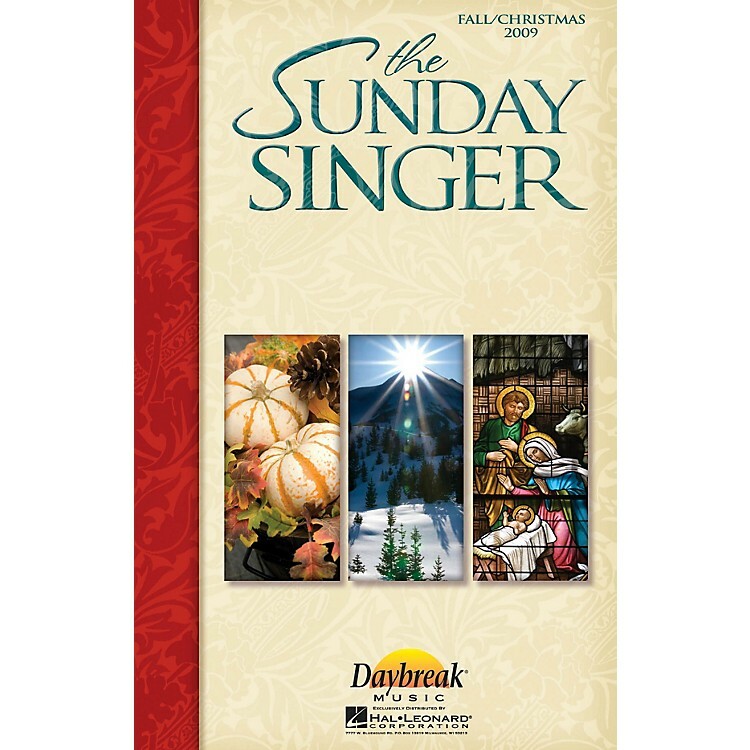 The Sunday Singer is a choral publication for smaller-sized church choirs that consists of several accessible anthems representing original works and arrangements of hymns and contemporary favorites. For each title, special attention has been given to voice leading, limited vocal ranges and carefully crafted piano accompaniments. Published two times a year, The Sunday Singer will serve as a valuable resource for your choir throughout the church year. The Fall/Christmas 2009 issue includes five titles: Give Thanks with O Come, Let Us Adore Him (arr. Philip Keveren) · He Made a Way in a Manger (arr. Camp Kirkland) · Carry the Light (arr. Keith Christopher) · Ancient Words (arr. Marty Parks) · Thanksgiving Song (arr. John Purifoy). Available separately: Choral Book, ChoirTrax CD, Kit (10 Choral Books, 1 ChoirTrax CD, 1 Preview CD), Choral Book 10-Pak, Preview CD, Preview CD 10-Pak, Preview Pak (1 Choral Book, 1 Preview CD).